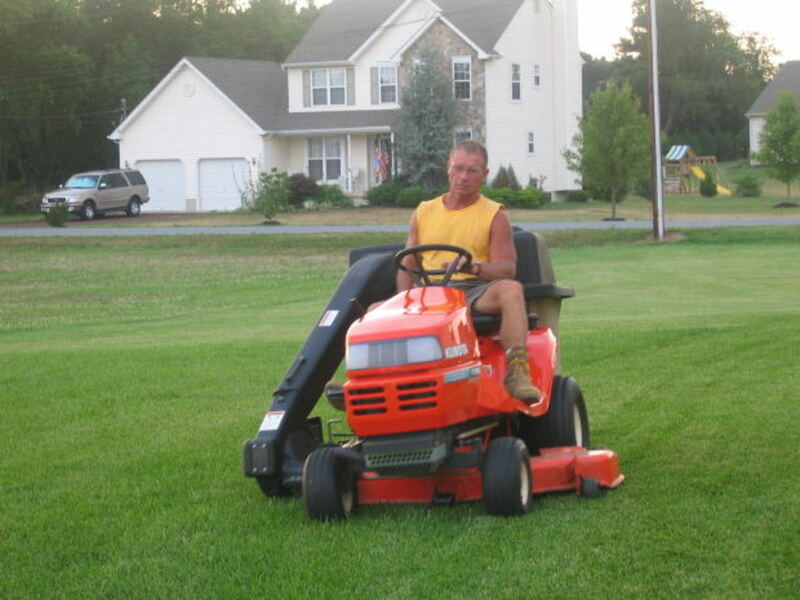 We'll go through each step by step so that you can have a good handle on exactly what you need to do to take your yellow, patchy lawn and turn it into a perfect lawn. Let's face it, there's nothing like a beautiful lawn. And those of us who border perfect lawns know that feeling of jealously that sometimes arises when driving up the road to our own yellowing, under-watered plot of lawn. Perfect grass only comes when all of the factors are met. Read on to see how you can get perfect grass. Add Gypsum Powder -- Gypsum can be applied topically to the grass twice a year and will work down into the soil. It will break up the hard clay and slowly give you the right soil conditions for perfect grass. The only problem with this method is that gypsum will take about 3 years to work into the clay and break it up, and many people are willing to wait that long to get a nice looking lawn. But if you're living in states with high clay content like is found in many of the southwestern states, gypsum powder may be your best option. Add Ultra Fine Sand -- Just like gypsum powder, ultra fine sand can work its way down into the soil and provide a better loamy environment for the grass to grow in. The easiest thing to do is to make a mixture of fertilizer, gypsum powder, and ultra fine sand together twice a year and spread it out all over your lawn. The fertilizer will nourish your grass and the gypsum and fine sand will sink down into the soil and provide a better environment for perfect grass to grow. Acidity -- You may also want to experiment around with acidity. Used coffee grounds and garden sulfur can help make your soil more acidic. Just be careful. A little acidity can go a long way. If you're going to use used coffee grounds on your lawn, don't spread them out thickly and don't spread them out more than once every few months. 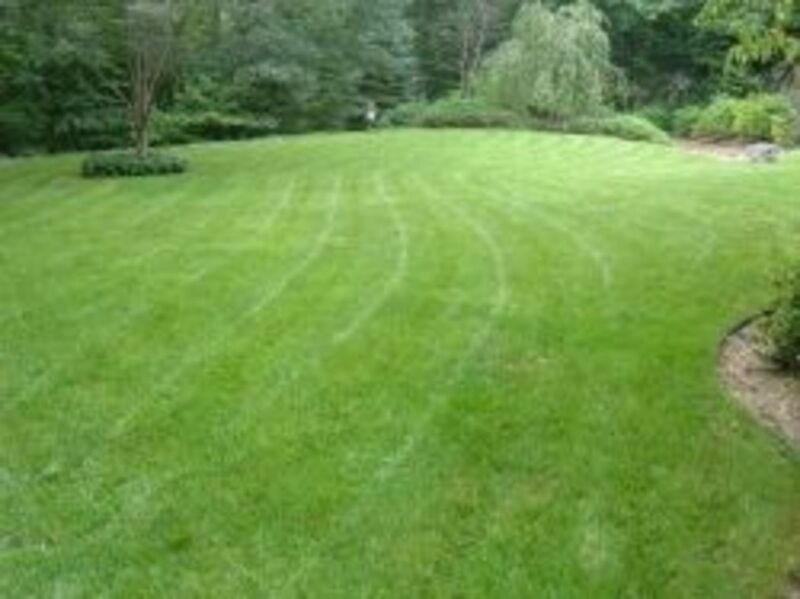 Knowing what kind of grass does well in the region where you live is very important. Most garden shops should be able to tell you, and there's a link below to a regional chart that can help you decide. Also important is the specific area where you'll be planting the grass. Mainly what you want to determine is how much shade vs sunlight the grass will have. Grasses in general love sunlight and many grasses don't do well at all in the shade. But some varieties of grass stand up better to shade than other varieties. So take a bit of time to diagnose your property and decide how much shade vs sunlight your grass is going to be exposed to. This can get a bit tricky. 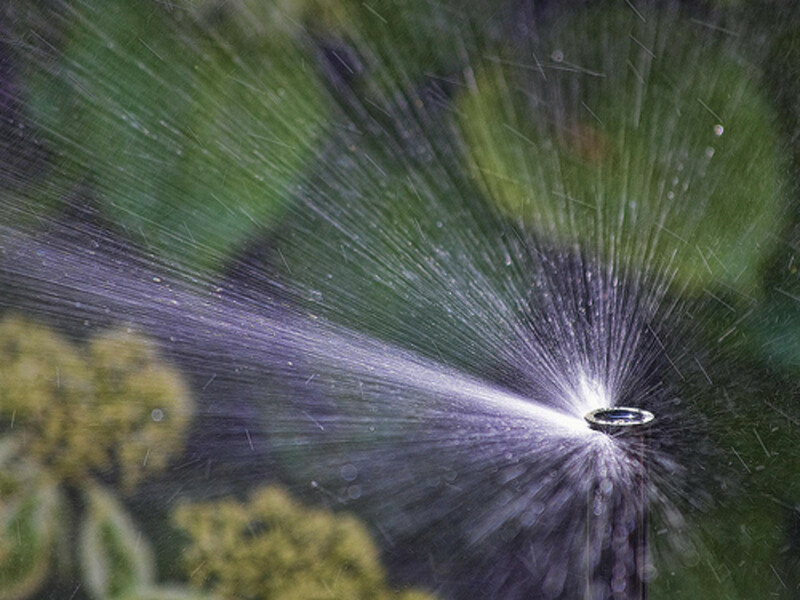 In many states such as California where I operated the landscaping business, there are water rationing laws, making it very difficult to give the grass everything it needs, especially in hot summer months. Nothing can kill a lawn faster than drought. Fortunately in modern years, varieties of grass have been created that need less water than others. The type I'm thinking specifically of is Dwarf Fescue. Fescue is a very popular kind of grass for residential lawns, and there are many varieties that thrive nationwide. But many types of fescue are definite water guzzlers. Dwarf fescue consumes much less water than regular fescue, making it perfect for yards in states with either drought or water restrictions. This is essential for keeping your lawn vibrant and green. Often, when grass doesn't have everything it needs, it will yellow and fade. Having a vibrant, thick, green bed of grass can only really be achieved through seasonal fertilization. When I operated the landscaping business, I would fertilize once per season, meaning four times per year. And I would use a slightly different fertilizer depending on the season. Your local garden shop or garden center at Home Depot will be able to give you good advice on fertilizer for your region, especially if you describe the particular ailment your lawn seems to be suffering from. Finally, pest control. This includes more than just animals. It includes animals, insects, and weeds. Fortunately there are options for all three. The most common animal pests for lawns are rabbits and dogs. Rabbits kill lawns very quickly because they often heavily overeat an area before moving on. Fortunately they're easy to diagnose. If you have a rabbit problem, you'll find rabbit droppings in and around the dead grass area. Some good methods for deterring rabbits are coyote urine, as well as spraying cayenne pepper diluted in water on the lawn once a week until the rabbit moves on. Dogs are pests because their urine kills the lawn. If you have a dog problem, the dead grass should be in a circular pattern. For taking care of this problem, either don't let the dog onto the lawn, or the cayenne pepper trick works well for dogs also. Animals hate spicy. Insects are also a common problem for lawns. 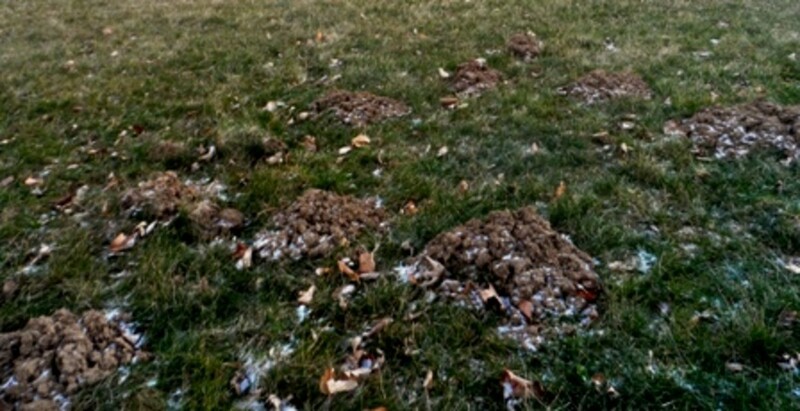 Grubs can move in beneath the surface, eating the roots of your grass and killing it slowly. There are a lot of good anti-insect products out there for lawn control, and if your once healthy lawn seems to be dying for no reason, then you may want to get a grub control chemical. Weeds will often infest a healthy lawn as well, weeds like dandelions and clover. There are topical sprays that can be bought which target specific kinds of weeds. 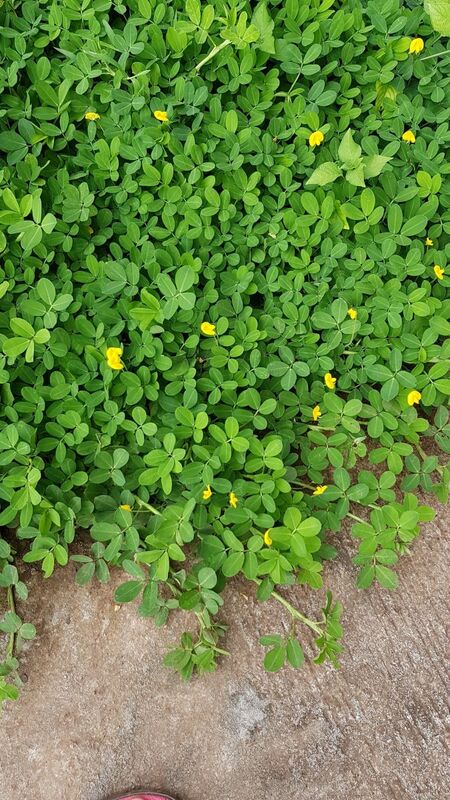 If you have a weed infestation in your otherwise healthy lawn, I encourage you to take a sample of the weed into your local garden center and ask them what they'd recommend to get rid of it. 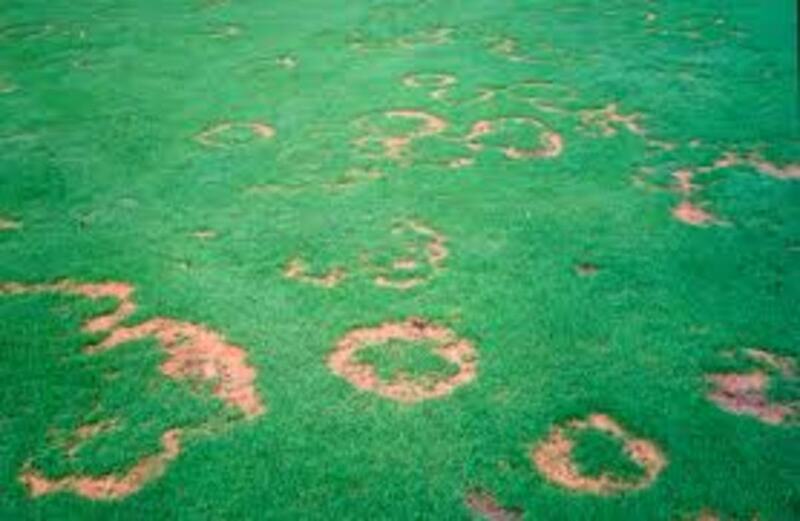 Fairy Ring fungus is very common. It grows in rings, leaving dark green and dead grass. If you have things beneath the surface such as old roots and stumps, fairy ring fungus can start to take root, decomposing the dead vegetation and also killing the grass. 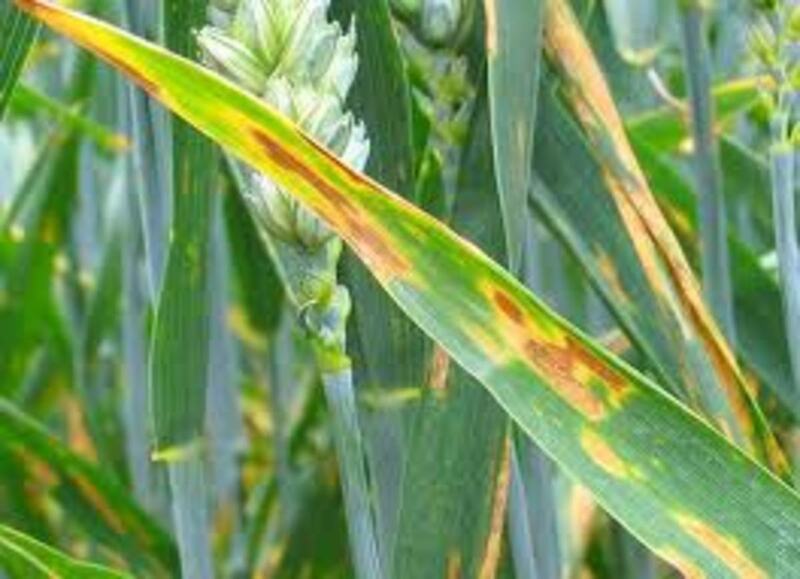 Rust Fungus generally comes in the late summer. 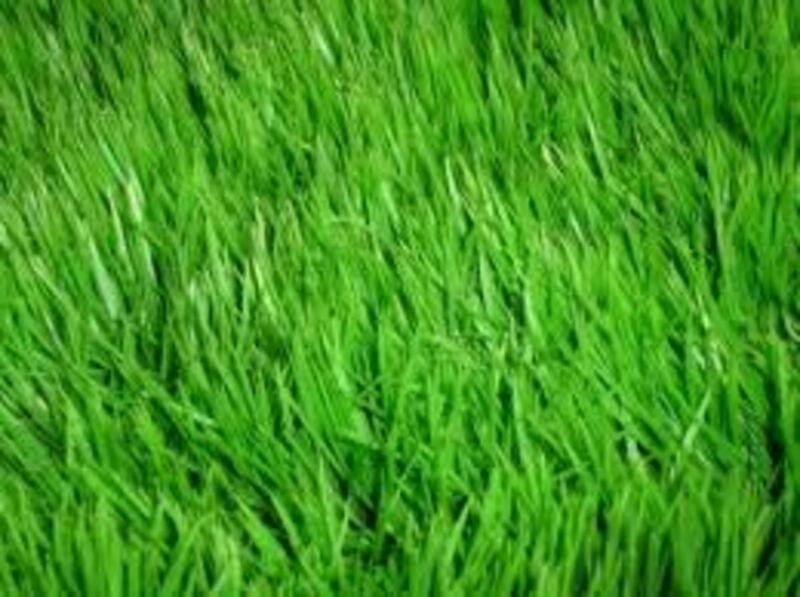 Like it's name implies, it changes the color of your lawn to lighter shades of green and yellow. 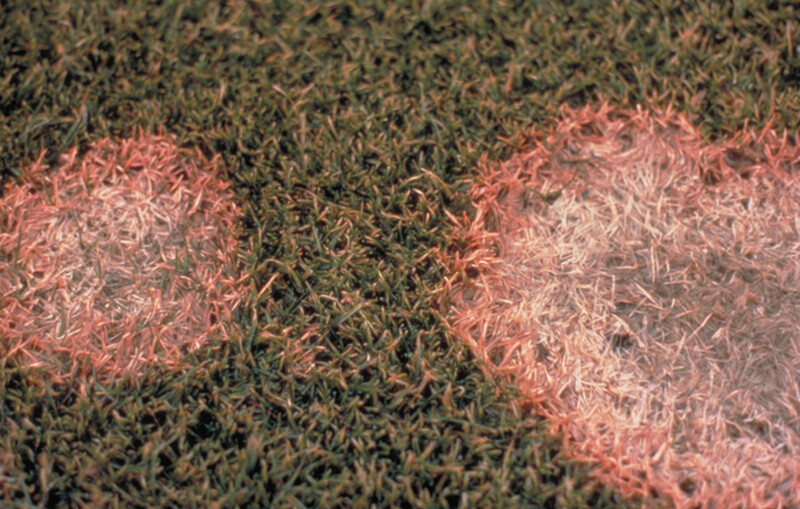 Pink Snow Fungus will kill your grass in patches, and has white and/or pink fungus that may resemble cotton. It comes with heavy snow cover and long sedentary periods. Difficult to avoid in some states. Slime Fungus is just like its name says, slime. It forms when the grass is overly wet for long periods of time. If you leave grass clippings on the lawn instead of raking them or bagging, this kind of fungus will most likely start to appear. As you can imagine, different types of fungus are common to different areas. 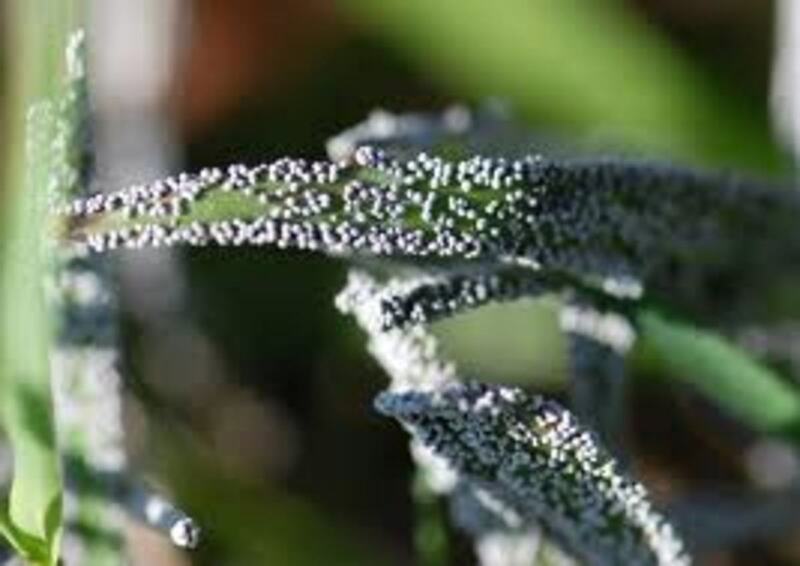 Also as you've seen, changing some of your habits and mowing more often can sometimes overcome the conditions that make certain fungi thrive. For real. I spent 2 hours yesterday on the weed whacker. Spring has sprung. Thanks for stopping by! This is a great hub as it is spring. Time to get outside and get to work. Haha, wouldn't that be great. I really like this time of year as well. Great weather and conditions for being outdoors in the yard. Thanks for a lot of information regarding lawn. I wanted something more though, I want a lawn that will mow itself. Actually I like this time or year because I don't water at all, so it only grows where the goundwater might filter to the surface. An informative article and its going to help me to take a better care of my garden. Lots of new info here. Thanks for the great tips.